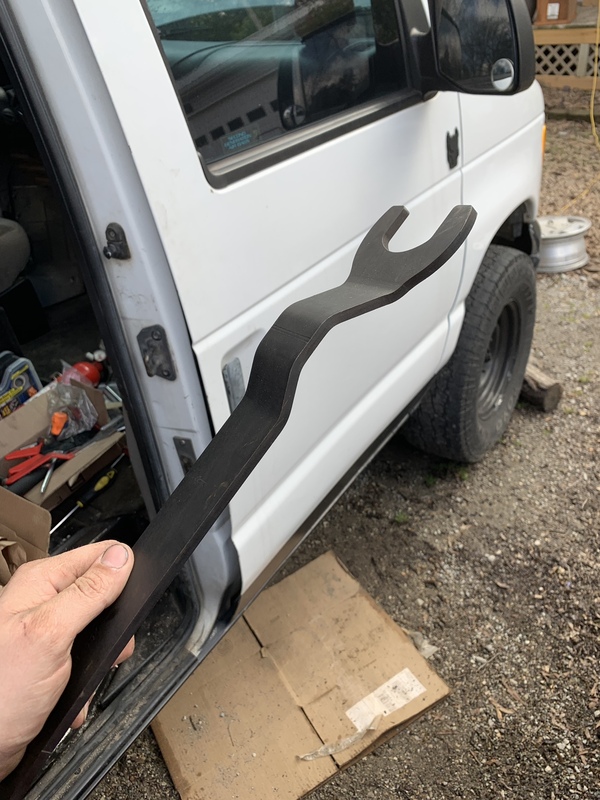 PowerStrokeNation : Ford Powerstroke Diesel Forum > F-250 & F-350 1986-1997 & Other Ford Trucks > E-Series Power Stroke Vans > Anybody used this tool before? Purchased the fan clutch removal tool that’s supposed to be van specific. I was wondering if anybody else has used it. Location: in a loony bin in N.J.
Re: Anybody used this tool before? never used the van tool, but i have used the other one numerous times. owner of almost to many fords. If you want the moral high ground, make sure you're not standing on a hill of horsecrap. What’s the part #? I may be needing one soon. 1995 Crewcab XLT 4x4 7.3, E4OD, 3.55, TS 6 chip, RiffRaff air filter.